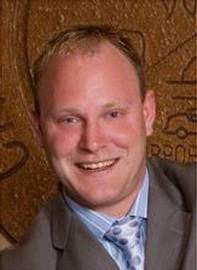 Warrenville alderman Christopher Halley has been arrested… again. 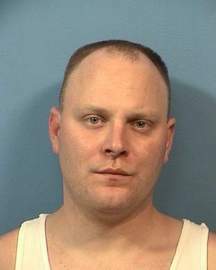 At the present moment, Halley is behind bars in the DuPage County jail trying to post his bond. The court has ordered Halley to turn in his passport after he allegedly attempted to flee to Rockford after promising to turn himself in to police. Halley is currently charged with theft by deception and deceptive practices after he allegedly took money for sporting event tickets and never delivered the tickets. It is also said that he took $500 from an acquaintance promising them a “meet and greet” with former President George Bush. In March of this year, Halley was arrested for allegedly passing a $1500 bad check to pay an acquaintance. Halley has pleaded not guilty to that charge. Halley claims that he is being targeted because he plans to sue the City of Warrenville over him being censured due to ethics violations. Halley was censured by the city last year for attempting to intimidate a Warrenville officer and a commanding officer who pulled him over for suspected drunk driving. Video of the incident (from the police cruiser) show Halley repeatedly asking the officers if they “know I’m an alderman in this town.” Additionally, Halley is accused of asking Warrenville Police Chief Ray Turano and the city prosecutor to help get family and friends out of some traffic tickets. Halley denies all these allegations too. Oddly, there has only been one other alderman ever censured in Warrenville history. That alderman was Edward Halley, Christopher Halley’s father. Warrenville alderman Christopher Halley booking photo.